Report and photos to appear in Feb. 2015 issue of NWC. 32nd Annual Sands Regency Reno-Western States Open (Oct 17-19) in Reno, NV - Link is to the USCF crosstables. A number of Northwest players competed. 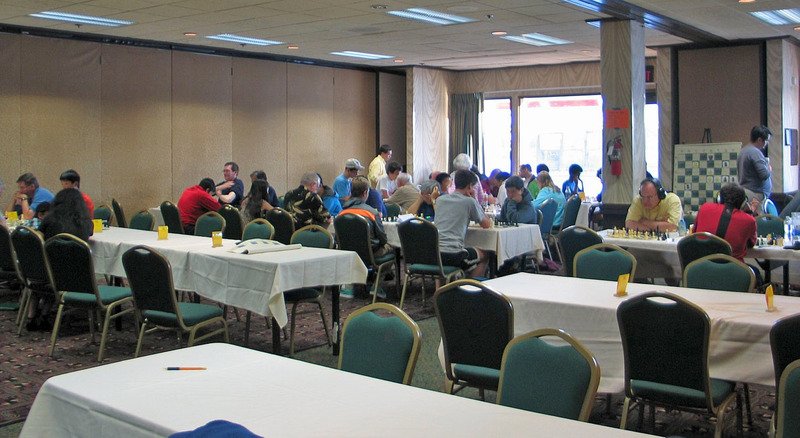 MILLIONAIRE Chess Open (Oct 9-13) in Las Vegas, NV - A number of NW players competed in this historic event, with at least two (Artem Verdiyan and Becca Lampman) winning significant prizes. See the USCF crosstables. See an interesting report on tacticstime.com. 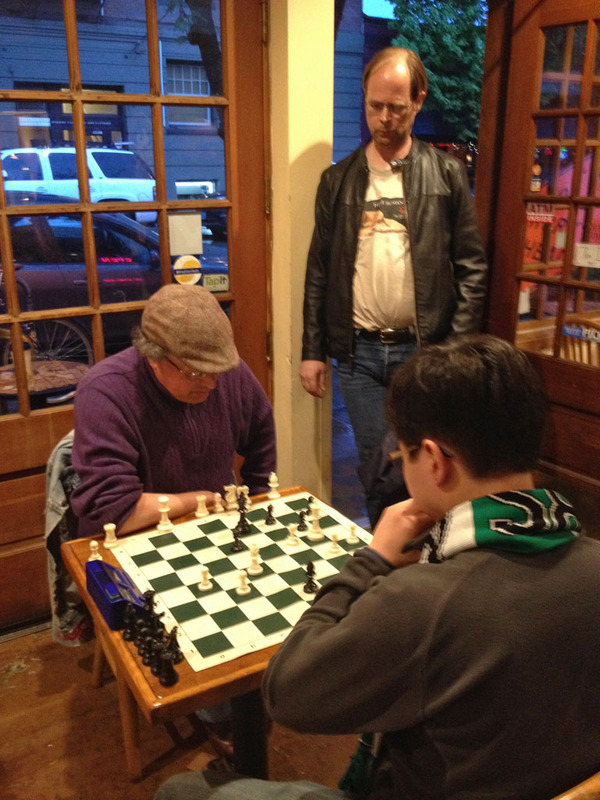 - See report and photos on the Bashkansky family Chess Travel blog. 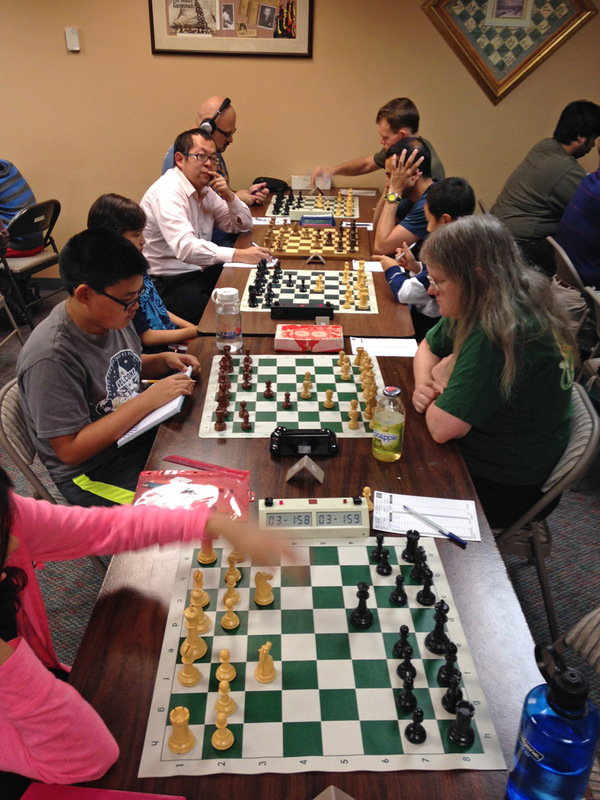 Maryhill Museum Game/15 Quads & IM Jeremy Silman visit (Jun 7) - This event was in connection with the Harry Potter chess game that Silman helped create as part of the “Cardboard, Clay and Crayons, Chess Sets by Young Northwest Artists” exhibit. Washington Open (May 24-26), North Seattle Community College - see two-page flyer with side events. New NWC subscriptions will not begin until the July magazine. It's Over ... the biggest kids' event of the year! 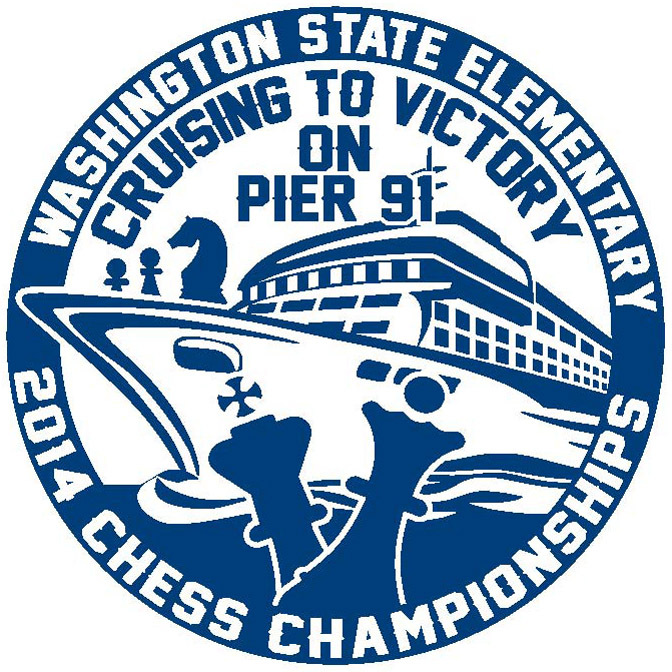 Oregon Scholastic Chess Federation State Championship (Apr 11-12), Seaside, OR. Website: www.oscf.org. See Rusty Miller's photos. 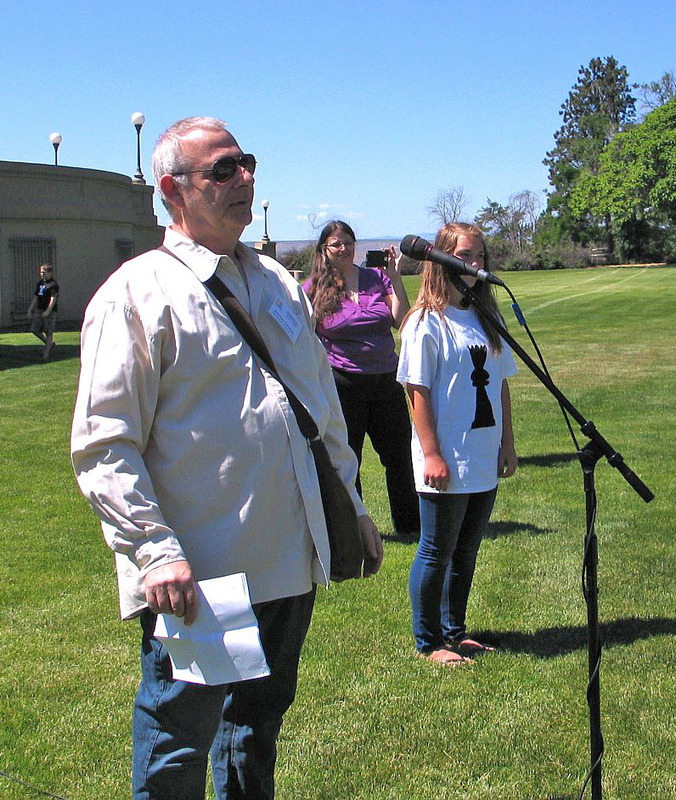 See article from The Oregonian. 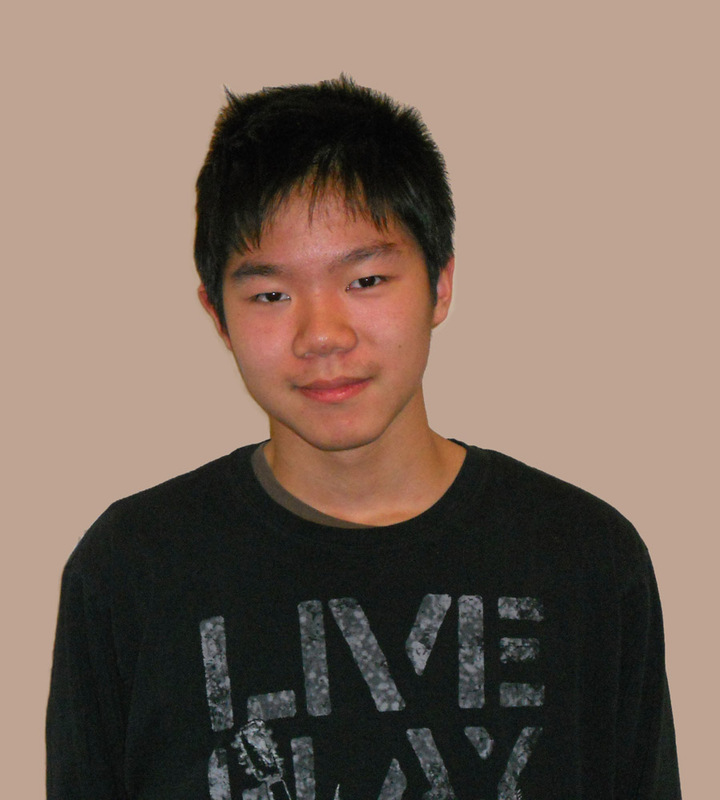 See article "Coquille student now at 'master level' in chess" in The World. See Rusty's blog post about the first weekend! Reykjavik Open (Mar 4-12) in Iceland - three local players participated! 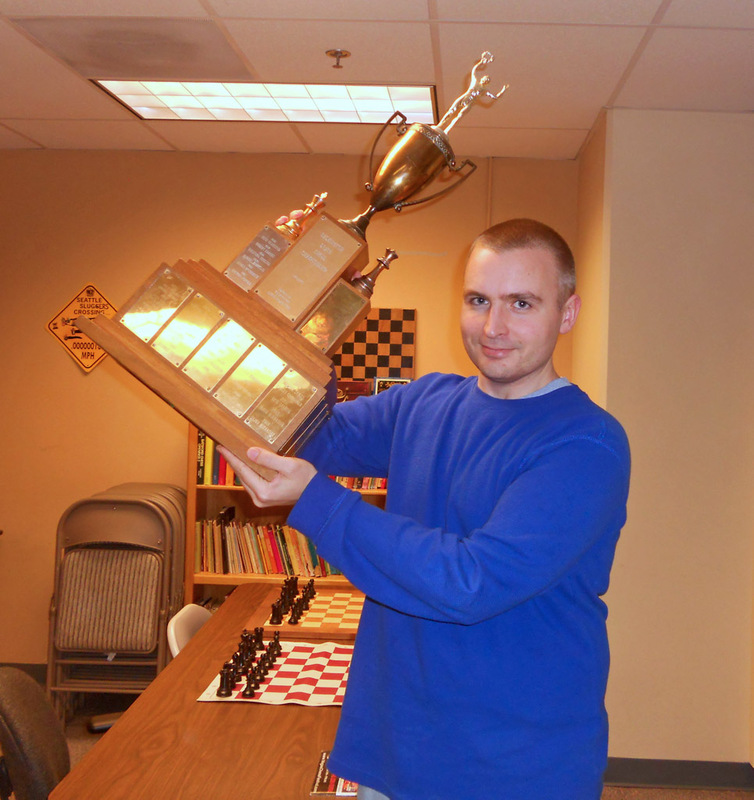 Congratulations to Washington State chess champion Nat Koons! 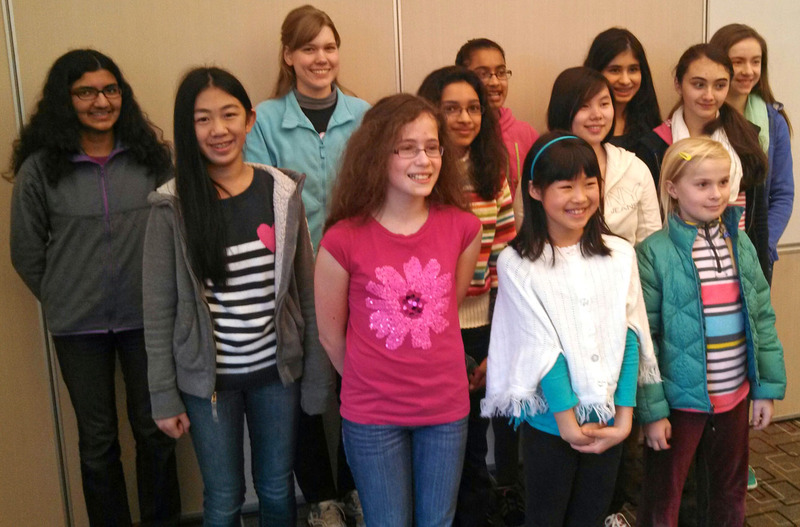 The Washington State Championship & Premier concluded Feb. 15-17 in Seattle. Photo by Duane Polich at left shows Nat lifting the state championship trophy. 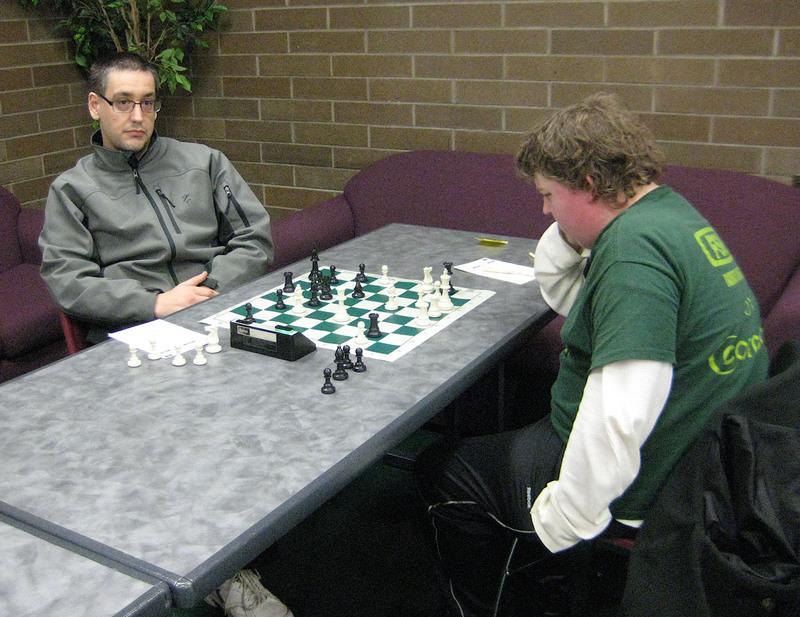 Congratulations to Nick Raptis for successfully defending his Oregon State chess championship! Nick also won the Oregon championship in 2001 and 2013, and tied with Oleg Zaikov for the championship in 2005.The Oregon State Championship concluded Feb. 23 in Portland, one week late due to a weather delay. See blog post. Photo by Grisha Alpernas at right shows Nick holding the championship trophy. Congratulations to Caleb Kircher, the new Idaho State Champion! See the ICA webpage for this event. Washington State High School Individual Championship (Jan 31-Feb 1) in Bothell, WA - Also see official WHSCA webpage. The winner is seeded into the Washington State Championship in February.